Overlooking the beautiful Oregon Coast and family-owned since 1979, The Whaler offers 73 quiet, spacious, comfortable rooms, each with a private balcony and stunning ocean view, as well as five ocean view rental houses. Some units feature cozy fireplaces, microwaves, and wet bars, while all units have high-speed internet access, snack-size refrigerators, hair dryers, irons and ironing boards. No matter the weather outside, guests can enjoy our beautiful heated indoor pool, spa and exercise facility. An elevator and laundry facilities are available for your convenience, and we have many pet-friendly choices for our guests with furry friends. For those who want to spend the bulk of their time on the beach, all guest rooms and beach houses have easy beach access to one of the most scenic beaches on the Oregon Coast, Nye Beach. 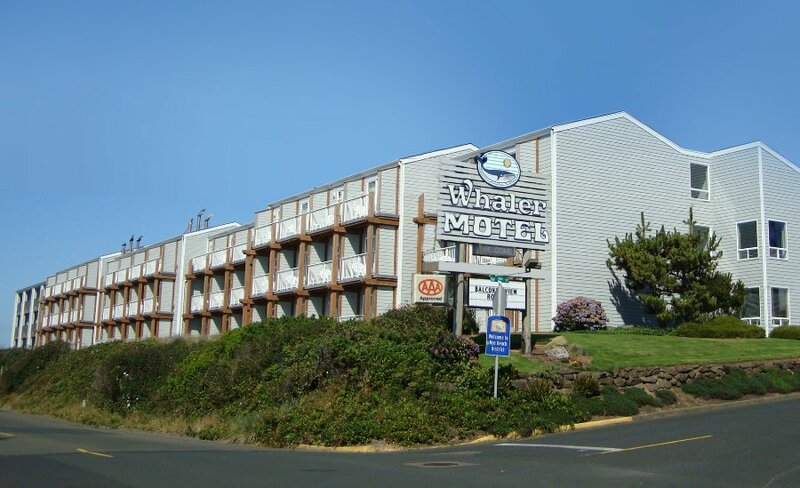 For those who love to take in a little culture, The Whaler is adjacent to the Newport Performing Arts Center, and only a short distance away from Yaquina Bay, the historic Nye Beach, a variety of restaurants, unique shopping and of course, just a few minutes away, the world-renowned Oregon Coast Aquarium. Before you take it all in, start your morning with a perfect cup of coffee conveniently made from your in-room Keurig coffee maker and enjoy a delicious free express breakfast featuring cereal and fruit. A complimentary hot beverage bar and fresh-popped popcorn is available every day until 10:00pm. Since we first opened over 40 years ago, we’ve always taken pride in offering the kind of service and special “extra touches” that make The Whaler your place at the beach in Newport.